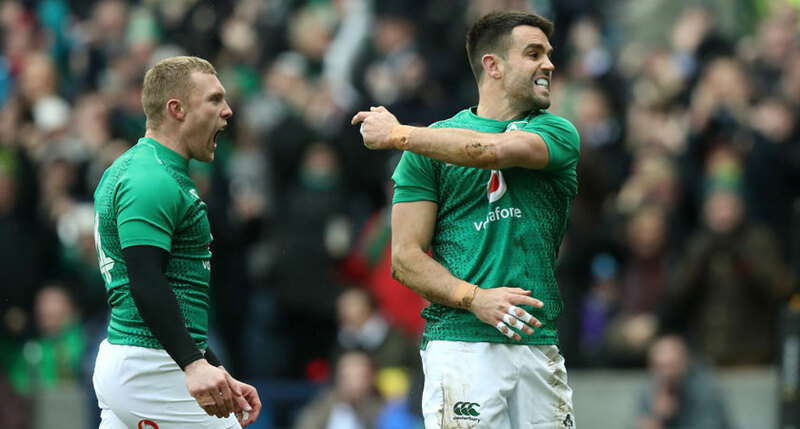 IRELAND got their first victory in this year’s Six Nations with a thrilling 22-13 win over Scotland at Murrayfield. Tries from Conor Murray and Jacob Stockdale put Ireland in control after a shaky start, and despite Sam Johnson replying for the hosts, Ireland led 12-10 at the break. 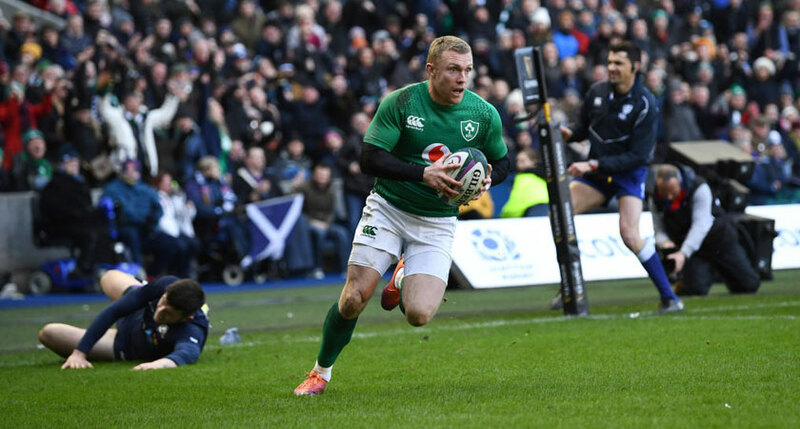 The second half was not as frenetic as the opening period, however a try from Keith Earls after great work by Joey Carbery put Ireland in the driving seat. Scotland huffed and puffed but came up against a resolute Irish defence, who put last week’s disappointing home defeat to England behind them. 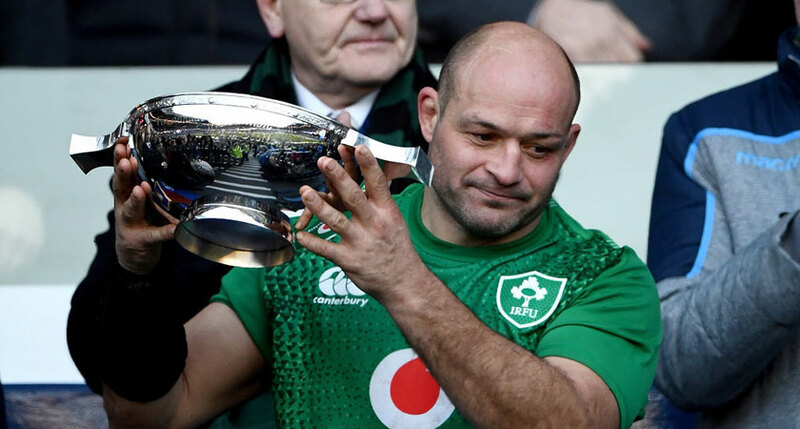 Just as they did against England, Ireland fell behind early on, Grieg Laidlaw scoring a penalty after Bundee Aki had scooped the ball up illegally. Ireland were lucky not to be further behind with Sexton also conceding a needless penalty as the hosts started postively, following on from their victory over Italy last week. However having weathered the early storm, Ireland went ahead after Tommy Seymour failed to deal with Stockdale’s chip and chase. Under pressure from Chris Farrell, Seymour’s pass evaded Sean Maitland, allowing Murray to gather and give Ireland the lead. Sexton, who was already limping after being targeted by the home side, missed the conversion, however minutes later Ireland added a second try. Following a neat change of direction between Peter O’Mahony and Sexton, Stockdale raced clear before touching down under the posts. Sexton ceded kicking duties to Murray after another heavy hit in the build-up to Stockdale’s try, the Munster player converting to give Ireland a 12-3 lead. 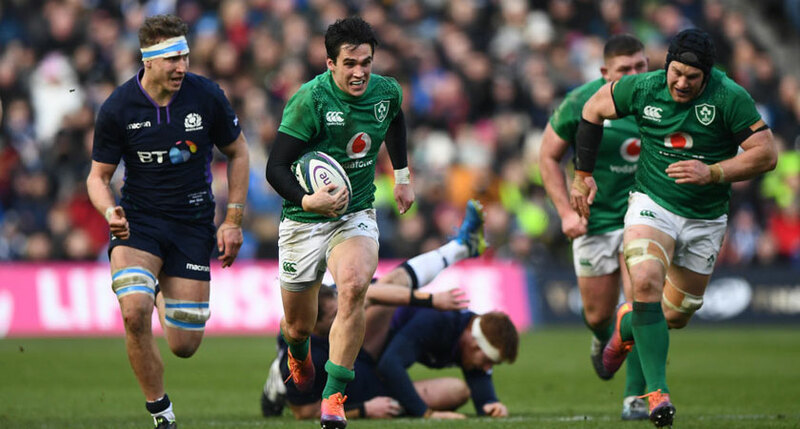 Sexton gamely carried on but was forced to make way for Joey Carbery after 25 minutes. Despite losing their own talisman in Stuart Hogg, Scotland dominated the rest of the half. Finn Russell was the architect of their try as he intercepted a Carbery pass and sprinted downfield. Earls superbly chased him down but Russell lifted the ball perfectly into the path of the overlapping Sam Johnson. The Warriors centre went over before Laidlaw’s neat conversion from the right cut Ireland’s lead to just two points, 12-10. Scotland were gaining momentum and territory in the closing stages of the half and almost went ahead after a 25-phase attack in Ireland’s 22. However Jones’ pass to Seymour out right was marginally behind the Glasgow wing, the fraction of a second he took to check his run allowing Stockdale enough time to bring him down. Both sides were guilty of some loose passes at the start of the second half as they struggled to find a breakthrough, however Ireland extended their lead on 55 minutes. The drop in tempo looked to have spread to Allan Dell and Rob Harley, who both looked to have switched off when Carbery gathered a loose ball in the centre of the park. It seemed innocuous enough, but Carbery brushed off a double tackle from the pair before racing clear, sparking the Murrayfield crowd into life. As Kinghorn and Seymour closed in, he laid off to Earls in acres of space on the right, the Munster player going over unopposed before Carbery converted to make it 19-10. Despite the stunning score, tired legs and a raft of substitutions affected the tempo. Laidlaw and Carbery traded penalties as the half ground on, the tackle count continuing to ratchet up as Scotland desperately tried to work an opening. 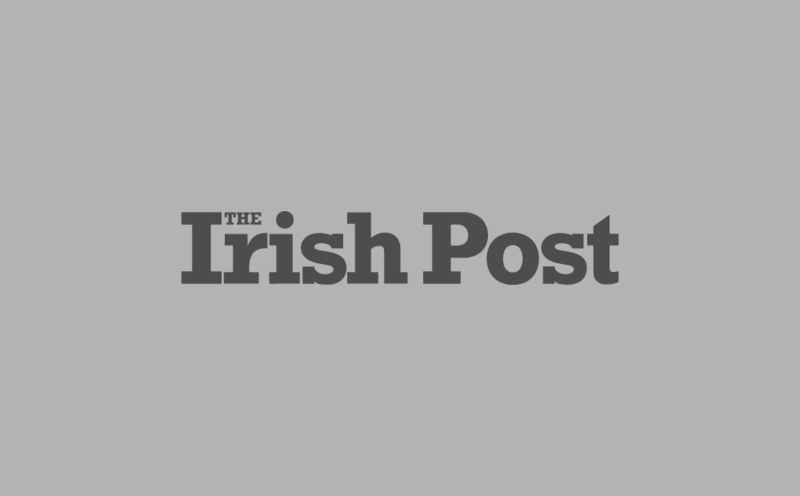 However errors cost the frustrated hosts, their second half typified when Ultan Dillane stole a line-out near the Irish 22. Instead Ireland’s defensive intensity saw them grind out their first victory of this year’s tournament and get their campaign back on track. Next up for Joe Schmidt’s side is a trip to Rome in two weeks’ time.